We’re having another FAMILY WEEKEND at Barcade! Bring your kids to our Newark location on Saturday, November 24th and Sunday, November 25th, from 11:30AM-5PM! 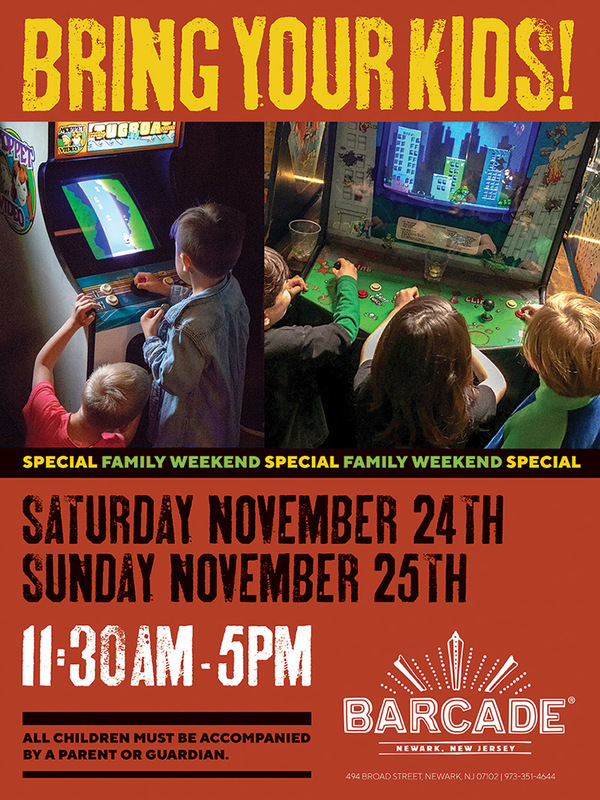 We’ll have some special kids video games, as well as a Kids Menu!